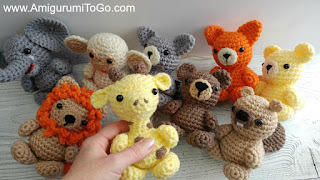 I decided since then that we needed mini Safari Friends too so designed a lion, giraffe, elephant and monkey. I'm thinking of adding a tiger. I posted this morning on my facebook page Amigurumi Freely and asked people to vote which pattern they want posted first. 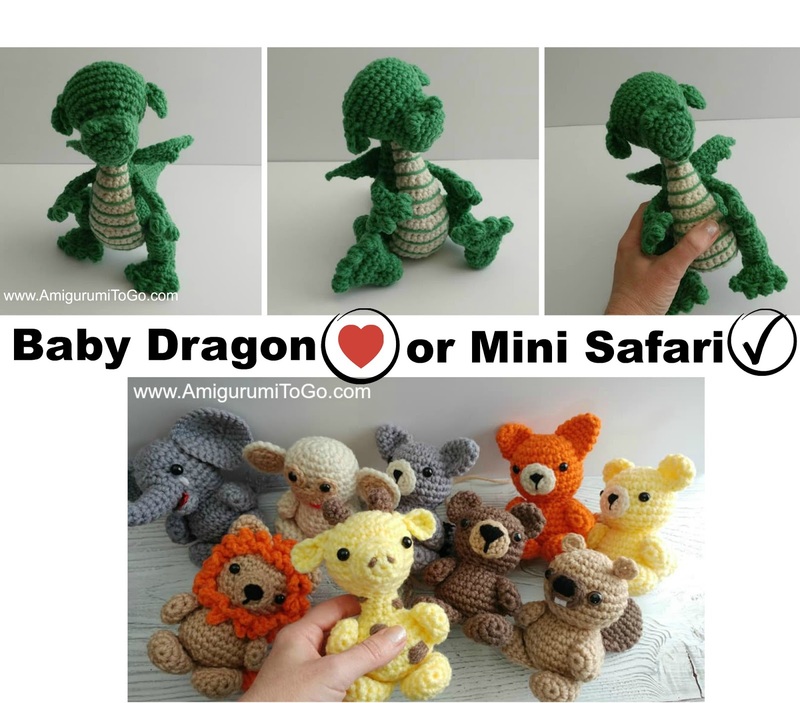 The Baby Dragon or the Mini Safari Friends. The Baby Dragon is winning! 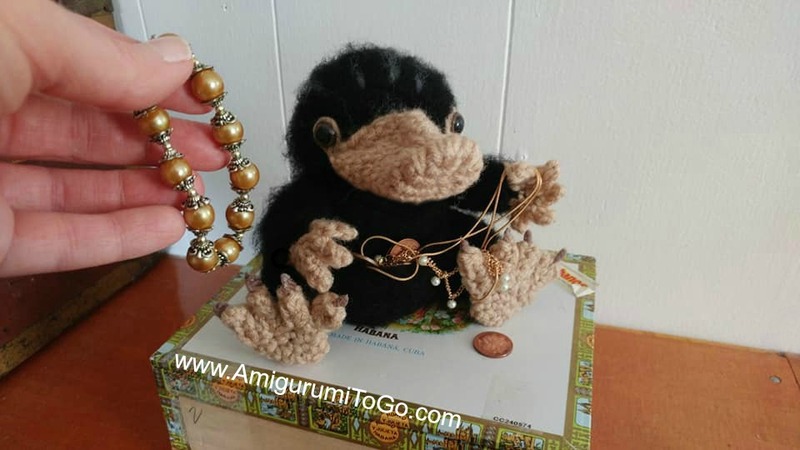 At the time I linked this post it was 146 to 98. Some are saying BOTH in the comments, which just makes me smile. I'm so glad people are excited about these patterns. I am too! 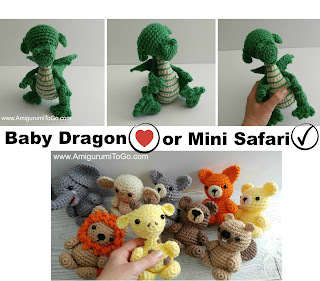 predict anything by the numbers I will predict the next pattern to be posted will be the Baby Dragon then the Mini Safari Friends will come after that. 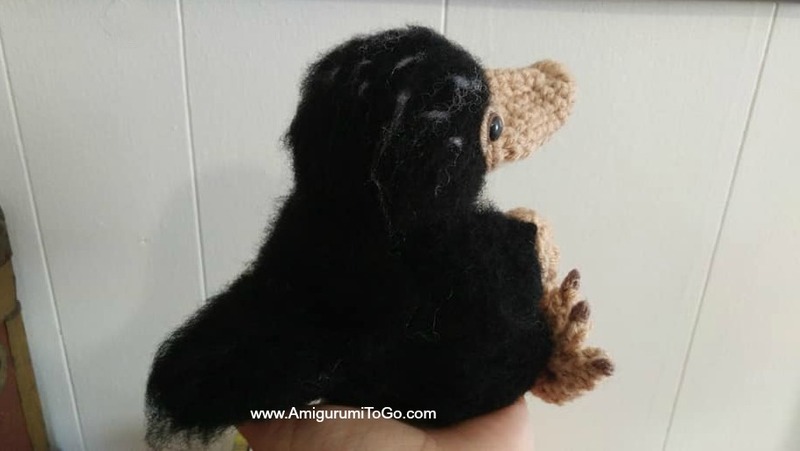 So what else is cooking on Amigurumi To Go? I'm so glad you asked! I've been working on this little guy too. His pattern is on the back burner until the other ones are posted. I took these photos after he had ransacked my jewelry box. He wasn't even 5 minutes old and already into trouble. I do believe I need a suitcase to stick him in. Sneaky thief! I have to tweak a few things around his face but can you guess what it is? Thanks for stopping by, I gotta get back to work!